There are numerous reasons why people drop out of college or never even go to begin with: family obligations, economic hardship, personal reasons such as pregnancy, no guarantee of job placement, career paths that don’t require a degree… But of all the women interviewed for this article, not one left school because they didn’t want to learn. An education doesn’t have to be obtained in a traditional classroom. All it takes is motivation and a learning mindset. 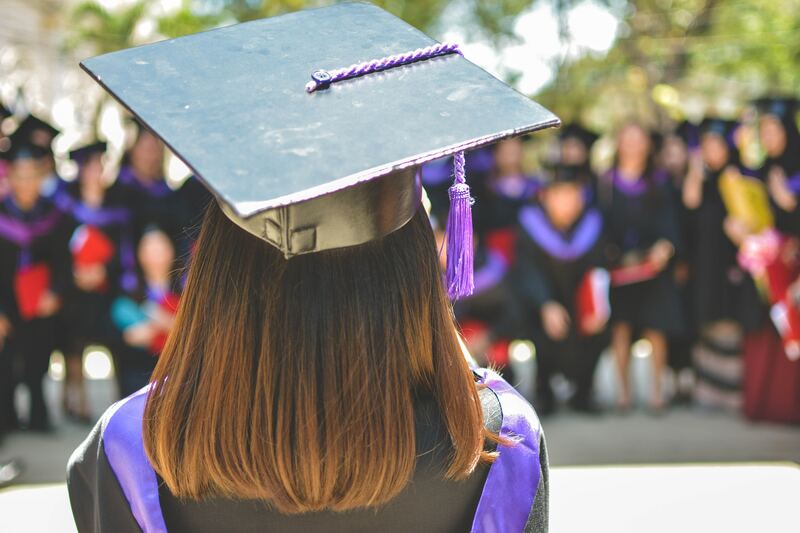 With access to library textbooks, the internet’s free seminars, courses, and databases, and the learning experiences that come on the job, many women have found that success doesn’t require a degree. And though some of these women say they want to return to college someday, most of them don’t feel they need to. For many, school isn’t a practical option. When she graduated from high school, Bethanie took a full-time job with the firm. She was often the youngest in the office and was the only woman of color, but she worked long hours, took on additional work, and got promoted again and again until she hit the executive level. “When I reached the top, the only place to go was to branch out and start my own business,” she said. So she did. At one point in her twenties, at a time when she could afford to go, Bethanie did enroll at a community college. That semester, she made the Dean’s List, but she ultimately decided that school wasn’t for her. The “real world” that her professors talked about didn’t match the real world she had already experienced, so she left it for a successful career and never looked back. “I enjoyed doing things at my own speed. I taught and continue to teach myself everything I need to run my businesses,” says Julia Kravets, founder of Little Choc Apothecary, the first fully vegan and gluten-free creperie in New York City. Before opening the restaurant, Kravets went to college excited to learn about physics but quickly turned to art. Then, she received an unbeatable offer: to become a model and travel the world. She never returned to college. Instead, she pursued a self-taught education through books, tutorials, documentaries, online courses, and in-person classes at the Natural Gourmet Institute. To this day, Julia is still learning, and not once did she let her lack of formal education stand in the way of her career aspirations. One in four Americans have student loan debt, so it isn’t surprising that many drop out for financial reasons. Katarina Minich, a UX designer, dropped out because she couldn’t stand paying so much. She went ahead and started her own business instead, and even though it failed (which Katarina acknowledges was a great learning experience), she wanted to “direct her own learning path”. And that’s exactly what she did. She has since worked on brands like Avon and Android. Eileen Scully, founder of The Rising Tides, a global consulting and advisory firm, dropped out when she became pregnant during her freshman year of college. “[Not finishing college] was definitely a hurdle earlier in my career… and I always felt like I was in places I didn’t belong,” she says. But that didn’t stop her from attaining more than 20 years of experience in the research and advisory field and starting her own company. Originally published on InHerSight blog.